Under Texas Law, there are exceptions to the rule that a parent has a superior right to children and that a grandparent has no legal right to custody or visitation of their grandchildren. The law is grounded in both common sense and fairness. The first thing the court looks at is whether or not a grandparent has the legal standing to bring a suit for custody or for access to and possession of the child. 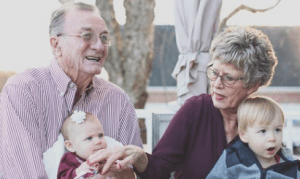 Some grandparents do not qualify and a competent attorney may be hired to ask the court to deny a request for a legal order for custody or a visitation schedule. Some grandparents have always had care of and control over a grandchild, yet do not receive the necessary rights in the form of a court order to be able to fully, legally and independently care for the grandchild. Temporary custody or temporary possession and access are also available for grandparents who qualify with conditions put in place while a parent is away or otherwise unavailable, unfit or incompetent. Some grandparents have lost touch with a grandchild because the parent they had access through died. To find out if you qualify to request a legal order for custody or access to grandchildren, call The Barrera Law Firm at (956) 428-2822 for a free consultation. Uncontested Divorces in Texas – How do I File?